Tranquil areas in the city, such as urban parks, are usually perceived as positive and have a restorative effect on residents and visitors. However, visitors may experience these spaces differently, depending on the meaning they assign to the concept of tranquility, and depending on how well the soundscape in these spaces matches expectations. On behalf of the City of Antwerp, Ghent University was asked to map the soundscape and the perception of tranquility of 8 urban parks in Antwerp, in the framework of the city policy on urban quiet areas. 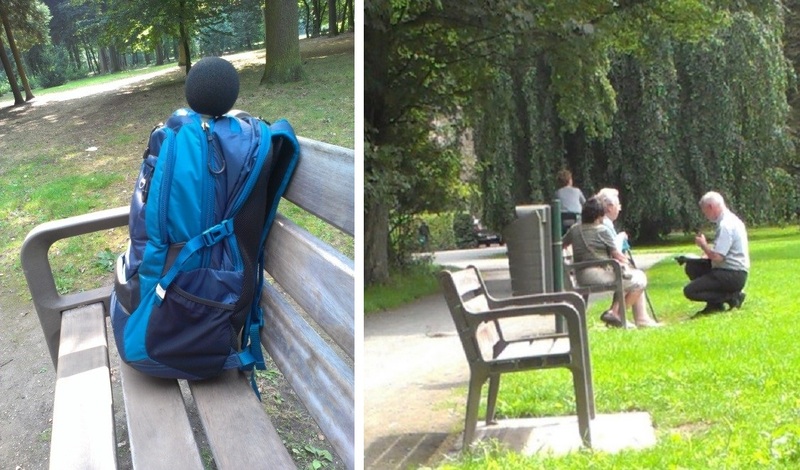 ASAsense provided a set of mobile sound measurement stations, conveniently and unsuspiciously mounted inside backpacks, which were used by the researchers to map the soundscape in all pathways of the 8 urban parks over a period of one month. These stations include a battery that provides 8h of autonomy, and continuously record the sound and log the gps location and the 1/3-octave band sound pressure level with a timestep of 125ms. On the basis of this data, a range of advanced noise metrics were calculated and mapped, and the sounds occurring in the parks were classified according to their type of source. This allowed to assign a star rating to the soundscape of each of the parks, and to discover the most tranquil spots in the city, which was then compared to the results from a face-to-face questionnaire survey held among 660 park visitors. More technical details about this solution can be found in the references below. Feel free to contact us for inquiries. K. Filipan, M. Boes, B. De Coensel, H. Domitrovic and D. Botteldooren. Identifying and recognizing noticeable sounds from physical measurements and their effect on soundscape. In Proceedings of Euronoise, Maastricht, The Netherlands (2015). K. Filipan, M. Boes, B. De Coensel, C. Lavandier, P. Delaitre, H. Domitrovic and D. Botteldooren. The personal viewpoint on the meaning of tranquility affects the appraisal of the urban park soundscape. Appl. Sci. 7(1):91 (2017).